Do you want to travel to your wedding in style? 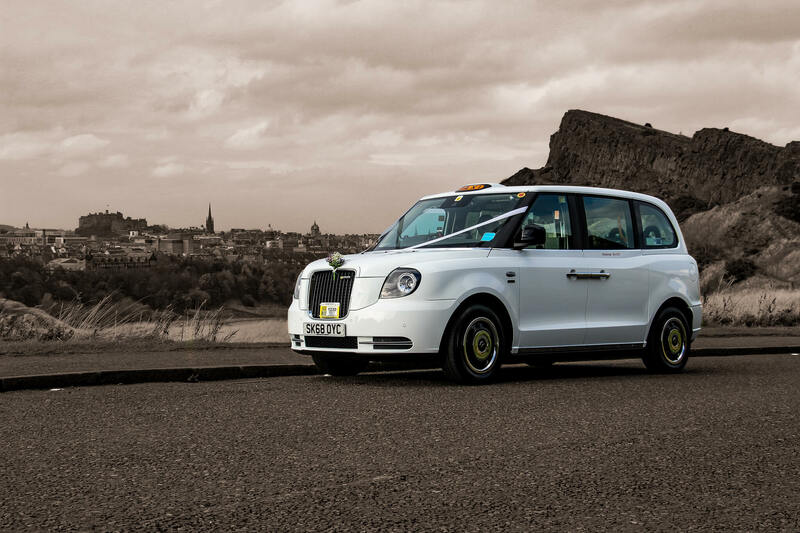 **UPDATE** Due to the age limitations placed on taxis by Edinburgh Council, we’re seeing a decrease in the amount of available traditional London style taxis for wedding bookings. Please get in touch as early as possible to avoid disappointment. 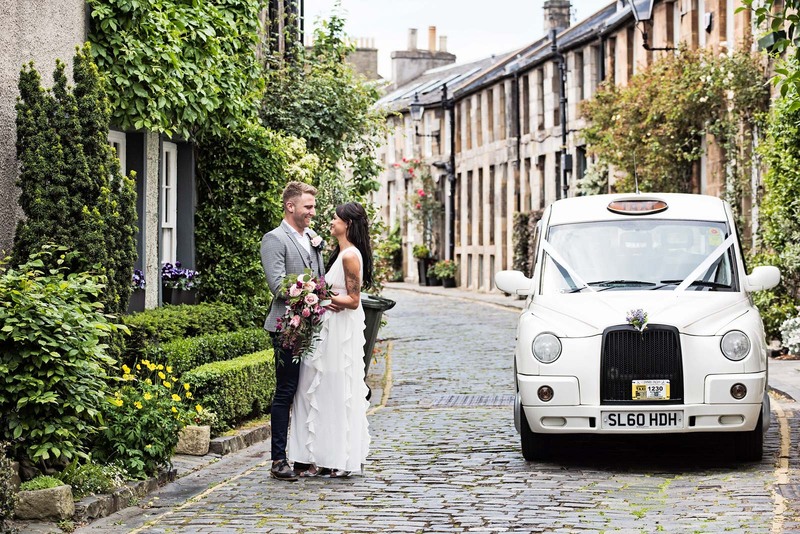 In Edinburgh, taxis are becoming increasingly popular as an alternative to the usual wedding car. People prefer the white taxis but if that’s not what you’re looking for then call us and let us know, and we can arrange for an alternative style of taxi. 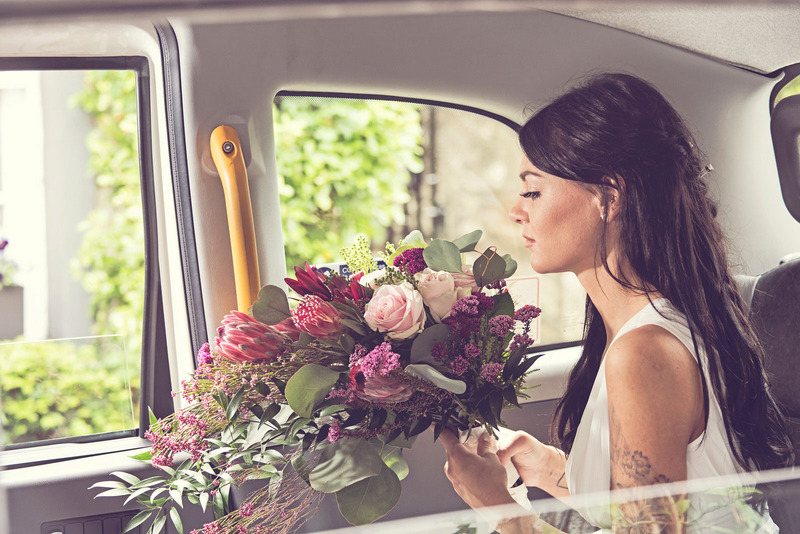 We include flowers and ribbons on all our wedding taxis, but we can add lots of other small touches to make your day even more special. Just ask! Please complete the enquiry form below or call 0131 229 5619. We recently welcomed a new white electric taxi to the fleet. 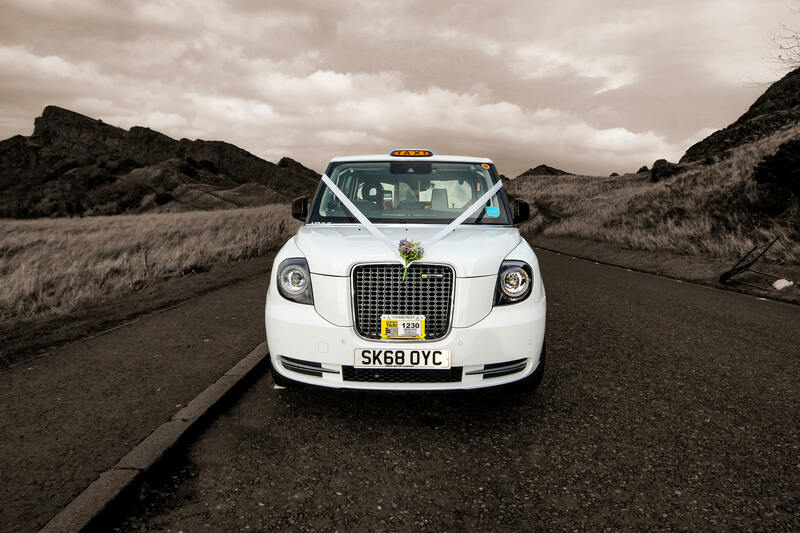 Please get in touch to find out about booking our electric taxi for your wedding. Images taken by Nadin Dunnigan. 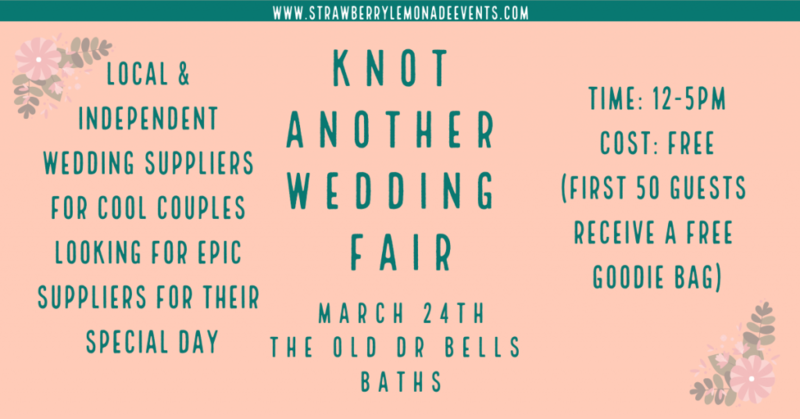 If you’re still planning and need some inspiration then why not visit ‘Knot Another Wedding Fair’ on March 24th! 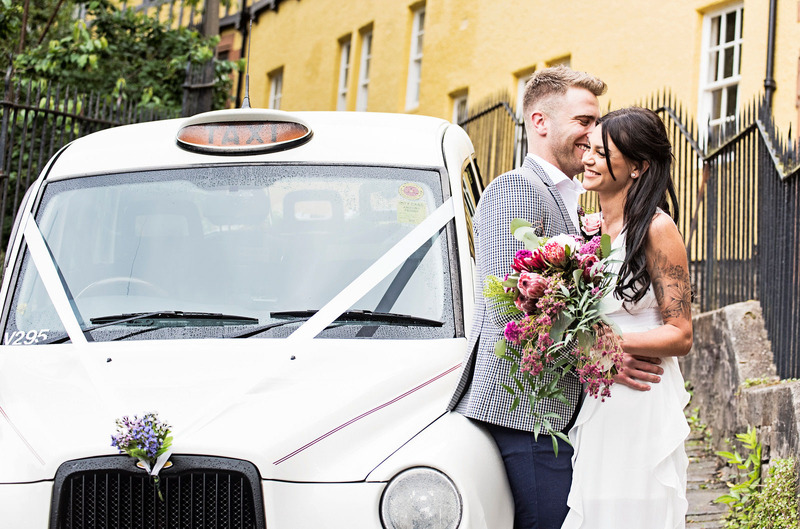 For wedding taxi enquiries, please use the form below.